The third Christmas deal drops tonight at 7:00 in the shop, and you won’t want to miss it! 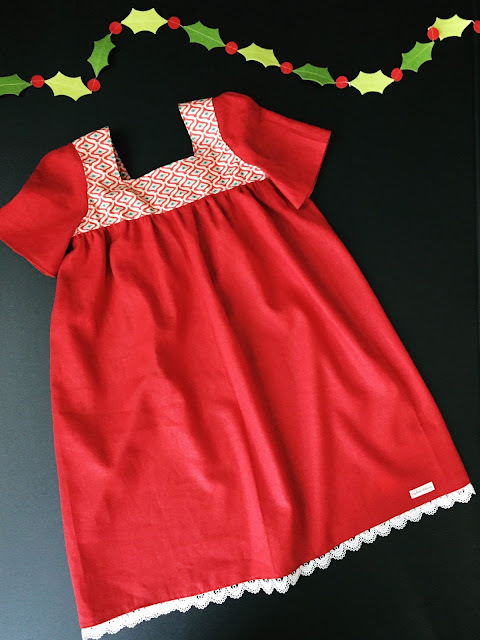 Tonight, I’m offering FIVE one-of-a-kind Christmas dresses! Each dress will be made to order, meaning your dress will be made exclusively for your girl, giving you the chance to customize the size as desired. 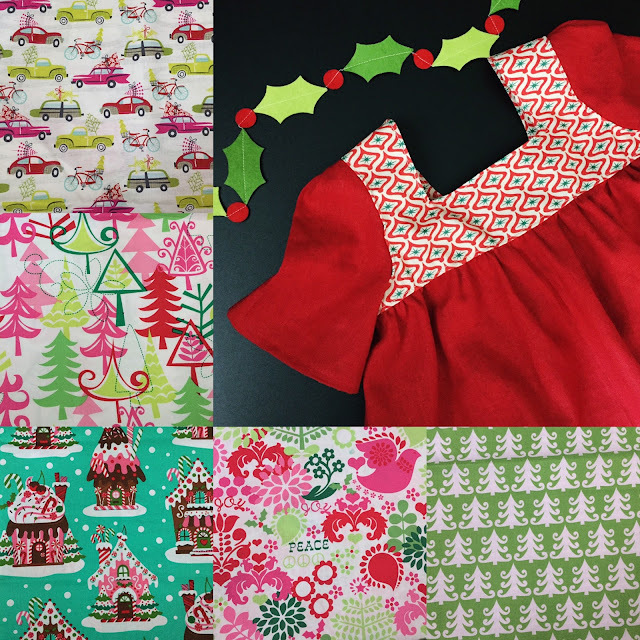 I have pre-selected five fun Christmas fabrics. I will make one BREE style dress per fabric. At 7:00 I will post all five fabrics in the shop. To claim a spot, simply purchase the fabric that you would like, and leave me a note at checkout stating which size you’d like. Once the deal has wrapped, I will contact you via email to finalize the details for your dress (fabric placement, sleeve style, etc). Here's a peek at the great fabrics up for grabs! :: About BREE :: Bree is a easy fit, swing style dress with a square neckline and scoop back. Shown here with short sleeves, a printed yolk, and solid (linen) for the dress and sleeves. This deal will run for 25 hours OR until all five spots have been claimed.